Happy Wednesday! 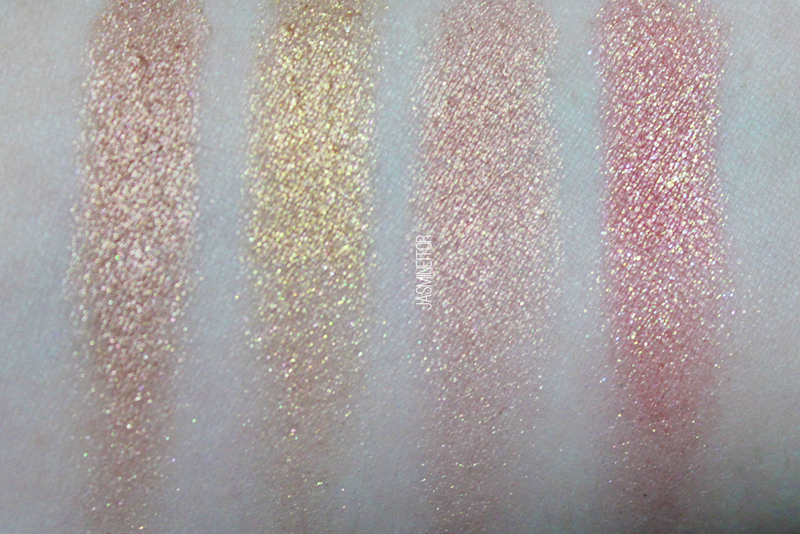 Today’s post will be a little short, but I wanted to talk about a few new colours Etude House released for August! 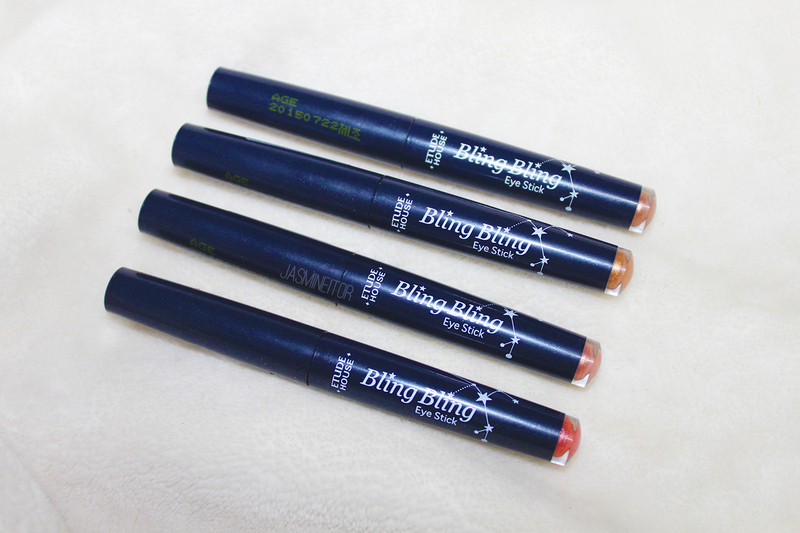 The Bling Bling Eye Sticks are a product I’ve seen at Etude House and other Korean makeup stores for a while, and they tend to be quite popular for the fact that they’re the perfect tool for doing makeup on the run. Despite generally not being long lasting, they’re easy to throw into your bag for a quick reapplication throughout the day without needing to worry about breakage or having to carry extra brushes like you would with regular powder eyeshadows. For August Etude House released 4 new colours which I was able to get my hands on to review for you guys! The packaging is the same as the rest of the line, including the annoying green serial code on the lid (눈_눈) ruins the packaging a bit for me…but no big deal! As you can see, they are very small and portable, perfect for even the smallest of bags – truly pocket sized! They have a rounded tip, which isn’t great for precision work but works well for applying over the whole lid which is generally what I find these to be best for. Each tube contains about 2cm of product, which will last a relatively long time as a little goes a long way with cream glitter products! Either way, at 4,000₩ (2,800 on sale!) these are a steal! 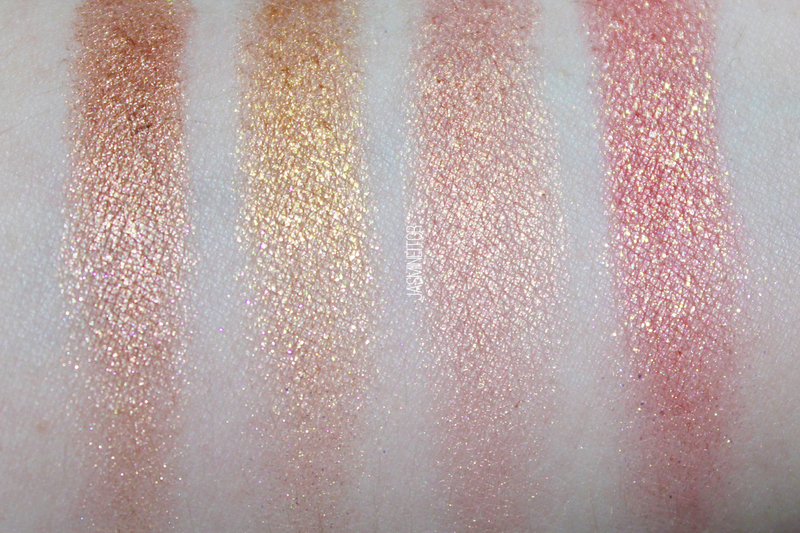 #12, Sunset Star, is a rose gold with a strong gold shift. The gold is stronger than the green and purple in this one, making it a really warm colour great for all skin tones, and my favourite shade of the bunch! The last shade, #11 – Rose Star, is just what the name says – a reddish rose tone with the aforementioned purple and green sparks. The gold flakes are quite strong in this shadow too! Another favourite. 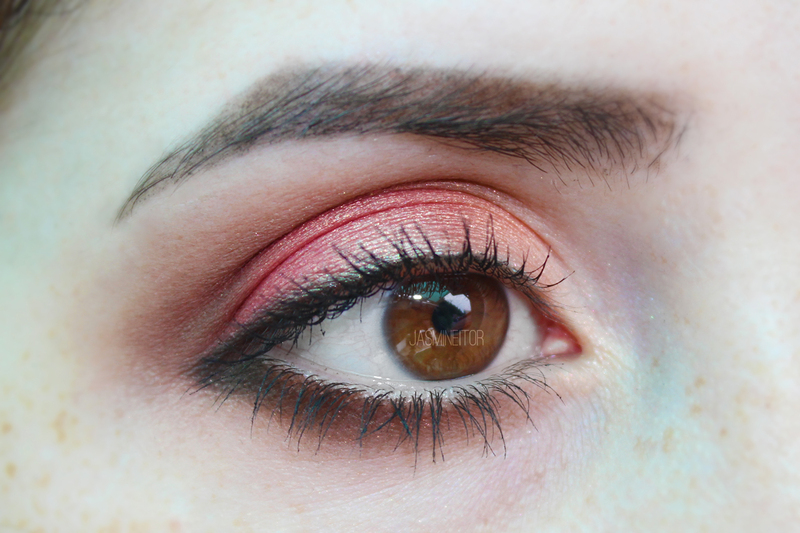 I used Etude House’s Bling Me Prism shadow, “Midday Sun” (RD303 정오의 태양) all over the lid, then layered RD301 “Jungle Red” on the outer corner. I used a discontinued shimmer brown shadow in the crease and lower lid, and the black is from Kat Von D’s Shade & Light eye palette! 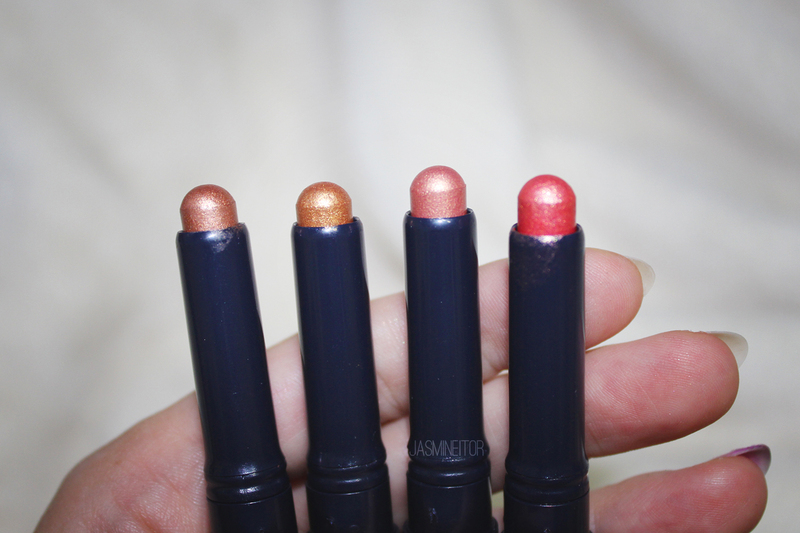 I used the Bling Bling Eye Sticks how I like to use them – layering them on top of a powder eyeshadow base. I used #11, Rose Star, on my full lid to add a subtle glitter to tie the whole thing together. Final thoughts: Not bad! For the price they are a very convenient product to bring in your bag if you’re a fan of subtle glitter and warm colour which is extremely popular in Korea! 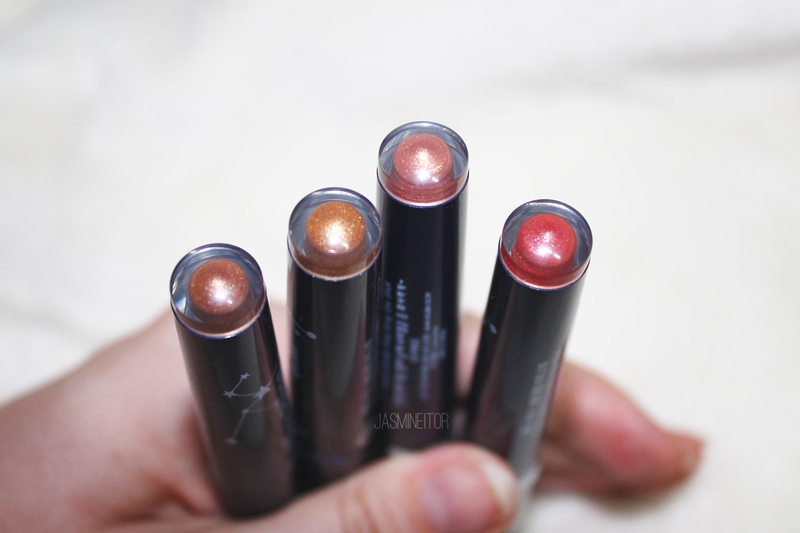 Personally I wouldn’t use them on their own because I tend to lean towards bolder looks, but they’re definitely a great addition to any makeup pouch. One thing to keep in mind, is that they should be used with primer otherwise they crease and slide around 🙁 other than that, satisfied!